It took me quite by slow, gradual suprise if I may say so - I've been listening to classical music more and more in recent years. The same process that led me to jazz years ago took place - I simply got bored with limitations of rock and other genres and (probably the best way to describe it would be to say that) I felt an urge to 'expand'. I still listen to rock, jazz, blues, world music and other stuff (and I'm pretty sure I will in the future) but my focus definitely seems to shift to classical. I've collected a couple of hundreds of classical albums (most of them in hi-res - I'm a believer) seeking advice mainly on forums like talkclassical, classicalforums etc (happened before registering on CA) but I'm pretty sure there are still many great recordings I haven't discovered yet. And I know there are many people here on CA who are deeply into classical. I think that thread like this could be on one hand a kind of guide for people like me who don't consider themselves experts (I don't read about music nowadays as much as I used to - I simply prefer to listen to it, it probably can be called laziness) and on the other I believe it could be of some use to the ones who have deep knowledge of the genre too. Please post any number of albums you personally consider essential, the ones without which in your opinion no classical albums collection can be called 'complete' or 'satisfying', the ones you can't imagine your own collection without, the recordings you'd wholeheartedly recommend to anyone interested in the genre - your real desert island albums - from any period you like - starting from early music and ending with contemporary composers. Don't hesitate to post albums that have already been mentioned by somebody else as this can be an important signal and even stronger cofirmation that the recording is an important one. Additional comments on performance and sound quality are welcome! Derailing the thread in order to go into any specific details is welcome too! And yes, I know for some choosing just 5, 10 or even 20 most essential albums may seem virtually impossible. But isn't the impossible tempting in a way.? Let me start with just two albums that are important to me personally. I've been listening to Glenn Gould 'Goldberg Variations' since I was 20 and still every time I listen to it am as impressed with his performance as I was back then. I've always preferred the 1981 version in part due to sound quality of the recording. Hearing some years ago Martha Argerich - Riccardo Chailly performance of Rachmaninov Piano Concerto No.3 quite explosively triggered my interest in the pianist (ok.. I'll be frank - it can almost be called a love affair), the composer - I like Rachmaninov a lot and in classical music in general. IMHO absolutely stellar performance. SQ could be better but I think the emotional impact of the music more than compansates for it. Good stuff in here.+ 1 on Argerich, Coltrane, Evans, Brahem, Davis, and the rest is all very good as well. 80% of albums you've posted are in my collection too. Seems that we have quite similiar musical taste! Yes, I know your blog. Been always impressed with it! Really well done IMO! The 25-essential-classical-music-albums has already cost me some money.. I believe this version of Rachmaninov 3d is the best from many I heard. In a case I would be limited to stay with only one this will be the selection I will keep. Argerich recordings of Prokofiev and Ravel concertos and her Chopin could stand against any competition with grace and fervor. 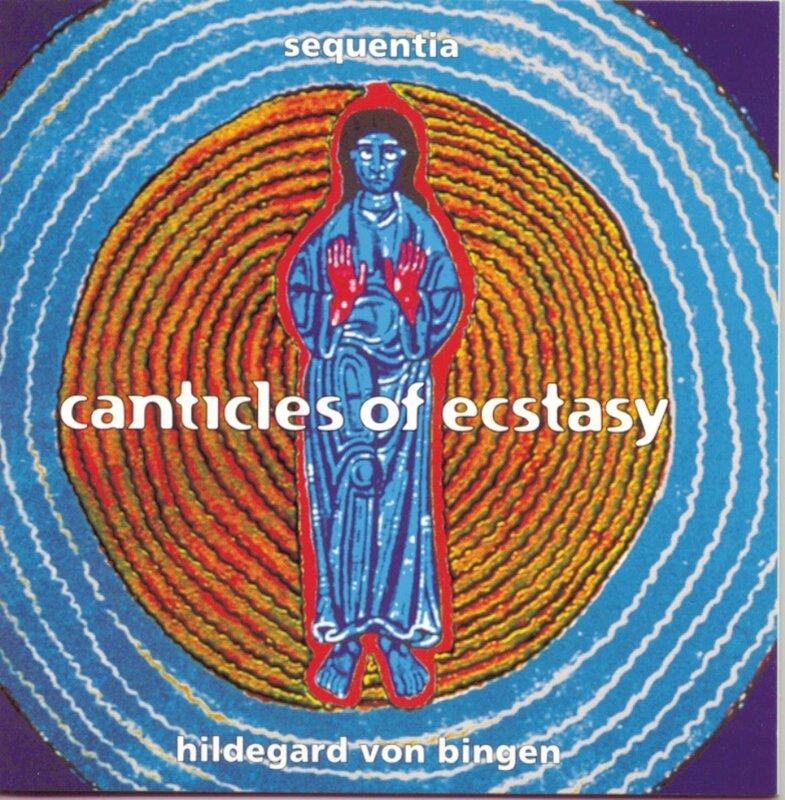 sphinxsix, do you have any Hildegard von Bingen in your collection? I have 2: Vox cosmica - Hirundo Maris, Arianna Savall 24-96 and The Origin of Fire, Music and Visions - Anonymous 4 SACD. I'm not that much into early music but I heard her choral composition performed live in a local church years ago and I liked it. Any suggestions of her other recordings? And BTW can someone recommend a good performance of Rachmaninov Rhapsody on a Theme of Paganini? I have two - Luganski/Oramo and Ashkenazy/Previn. It's probably quite irrational (I don't know any other performances of the Rhapsody) but I have an impression none of these two isn't the 'ultimate' version. Or maybe I'm wrong and they are really good, what do you think guys? Terry the recent (2015) recording of Daniel Trifonov with Yannick Nezet-Seguin. It received outstanding reviews across the board. I have little comparison on this particular piece but have listened to this album (on DG) just today and like it a lot. After checking out the first 15 minutes I have to say that for me it's the most covincing version of the three. SQ seems more than ok - I used my headphones, will check it out on my main system tomorrow. Trifonov seems to be a great pianist with fantastic technique and senstivity! And his piano is so seamlessly integrated with the orchestra which BTW is very good too. Could someone recommend some other Trifonov's recordings? I have his Rachmaninov - Preghiera, Piano Trios with Kremer and Dirvanauskaite only. I have to confess - couldn't wait. I checked out Daniil Trifonov's 'The Carnegie Recital' fragments. His Scriabin and Liszt seemed more convincing than Chopin (the additional problem with his 'Carnegie Recital' is some low (!) frequencies noise of this live recording which I can clearly hear using my headphones while streaming the samples from Prestoclassical, quite disturbing as it is it would be even more disturbing on my main system) so I moved on to his Liszt album. Judging by fragments again (risky idea, I know..) - sounds great to me! And I have very few Liszt albums in my collection (which BTW may be a mistake). Ordering. Hope it won't be a mistake! His Liszt Transcedental Etudes are excellent you won't regret your purchase. I don't. I checked out the begining of the album before going to sleep yesterday. Sounds fantastic to me! I think I will have to take a closer look at Liszt..
Liszt has written a LOT. You need to triage his work (unless you want to buy the excellent complete Liszt piano box by Leslie Howard, but we're taking about 99 CDs...). Try "Les Années de Pélerinage", his Schubert song transcriptions, and the Rhapsodie espagnole for a start. I have a couple of versions of this one including Argerich's performance (unfortunately CD only - from her 'Collection - Solo Recordings' box). As I stated before I owe her Rach 3rd my serious interest in classical! I will check your other Liszt recommendations. Thanks! Liebesträume, La campanella from the Grand Paganini Études, Consolation No. 3 from Consolations and the Hungarian Rhapsodies are quite standard in a classical collections. Then you have fascinating oddities like piano transcriptions of Symphonie fantastique and all the Beethoven symphonies. The list goes on and all, unfortunately. In fact, the original Berlioz Symphonie fantastique would probably quite standard too. And trumpet concertos by Joseph Haydn and Johann Nepomuk Hummel too perhaps. Agree with all your recommendations with the exception of the symphony transcriptions. I see them as technical excercises that were useful in the time of Liszt when recordings weren't available but I'd always prefer the symphonic originals to the piano versions. Its quite a different story for the Schubert song transcriptions that work surprisingly well. Liszt' Piano Concertos from Alexandre Kantorow are very good. I think this is the best Liszt I heard from new talent lately. I am fully aware that any list of 'essential' albums is a subject to some simplification and compromise. At the same time any list like that contains some seed of (more or less subjective) truth. Thanks for your recommendations (this is the first time I hear about Johann Nepomuk Hummel - will check him out) and hope to hear again from you on this thread. Well, Mozart's Sinfonia Concertante for Violin, Viola and Orchestra was mentioned in the Album of the Evening thread recently. It's well known for its ravishing middle movement. That's rather essential. And of course, middle movement of the Mozart's Clarinet Concerto is equally ravishing. And along the same line, Carl Maria von Weber has the Concertino for Clarinet. Beautiful slow first movement develops into a lively sprint. Short and sweet. Breaking things down into time period and/or genre would help focus the "seeding". So what interest you the most?